Club Penguin is my kids favorite summer online game. When the sun gets too hot, and we need to take a break from the summer heat, we come inside and play Club Penguin together. Something special is happening in the world of Club Penguin today – Monsters University is taking over! There will be thrills, screams and excitement as this special event takes place until July 9th. What can your kids expect while playing? New igloo items are available for members to buy in the Furniture Catalog. Some featured items include the Scoreboard, Scare Canister, Ping-Pong Table, Lounge Chair, Archway and more. 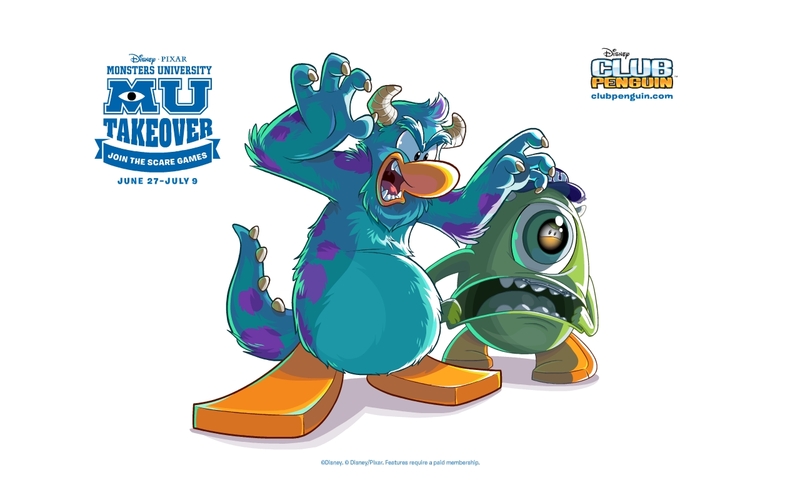 Monsters University will be at Club Penguin until July 9th! Facts, photos and information provided on behalf of Disney.